The Wichita Force headed down Amarillo, Texas to take on the conference rival the Amarillo Venom. The Force came off from their bye week looking for a victory down in the Lone Star state. The team had player standouts on all sides of the ball including offense, defense, and special teams. The Wichita Force put on a show for the home crowd at INTRUST Bank Arena for Saturday’s game versus the Sioux City Bandits. 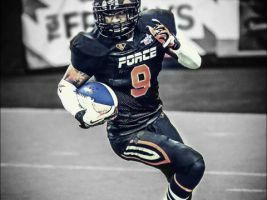 The Wichita Force came into the game with the momentum from the late game victory over the Texas Revolution. The visiting Bandits came into the game with an undefeated record of 4-0. The Force looked to continue the hard hitting, high energy, and intense gameplay that has been seen throughout the first half of the season. The Wichita Force hit the road again to take on the rough and rowdy Texas Revolution. The game was a nail-biter throughout the hard-fought game on Friday. The Force was supported by solid outings from the offense, defense, and special teams. Coach Lolar brought the men into the game with a high level of intensity for the road trip battle in Frisco, Texas. WICHITA, Kan. — The Wichita Force traveled down to D-town to play against the Dallas Marshals. The Wichita Force were looking forward to getting their first conference win on the road. The team was looking to continue the hard-hitting and fierce gameplay on the road versus the Dallas Marshals. The Wichita Force announced today that the team will host its open tryouts for the upcoming 2018 season on Sunday, November 19. The team will host this season's open tryouts at the Wichita Sports Forum located at 2668 N. Greenwich Rd, near K-96 and Greenwich, from 2 p.m. until 5 p.m. with registration beginning at 1 p.m. The Wichita Force announces former Defensive Coordinator, Morris Lolar, as the head coach for the 2018 season. 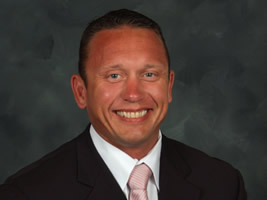 Coach Lolar has an extensive background in coaching football. From 2009-2013 Lolar held different roles for the Wichita Wild, a former IFL team. In 2013, as the head coach of the Wild, he led them to a 12-2 record in which they won a league championship. Stuart is an El Dorado, Kansas, native and resides in Wichita. He played college football at Pittsburg State University in Pittsburg, Kansas. 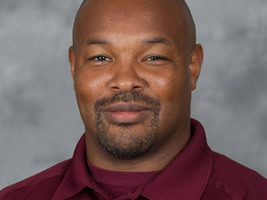 He also is involved in officiating college football in the Mountain West Conference for the last four seasons and has also officiated in Kansas and surrounding states at the Junior College level, NAIA Conferences, and MIAA which is a member NCAA Division II. In 2012 he was part of an officiating crew that worked the NCAA DII National Championship.